Sometimes you find fabulous things in the most unlikely places…. A few months ago, I was shopping at A Market in Newport and noticed Acure Skin Care was on sale. Curious about the organic skin care line, I picked up the Brightening Facial Scrub, a gentle exfoliator made with organic sea kelp, French green clay and organic lemon peel. 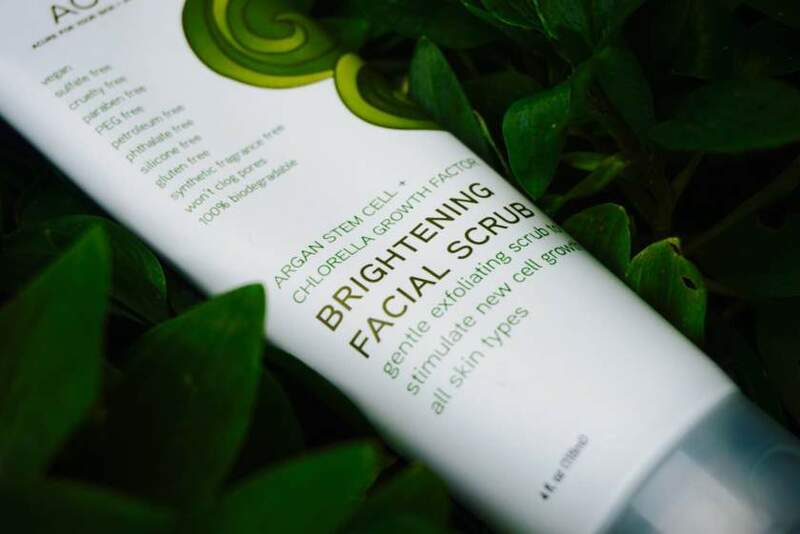 Organic Chlorella Growth Factor (protects collagen and elastin fibers) and Argan Stem Cells help stimulate new cell growth while providing a deep cleansing, brightening experience. The exfoliating scrub is the perfect natural alternative to those plastic micro beads found in so many mass market products that are harmful to the environment and can transport the chemicals to marine life. I also picked up the Oil Control Facial Moisturizer with lilac stem cells and chlorella growth factor featuring an easily absorbed blend of organic botanicals that improves texture and tone while minimizing fine lines. Both score tremendously well on the Environmental Working Group’s “Skin Deep Cosmetics Database” which is basically a Google search of personal care products to see which are clean or loaded with chemicals and toxins. Both were clean, light, refreshing and effective—and a little went a long way. 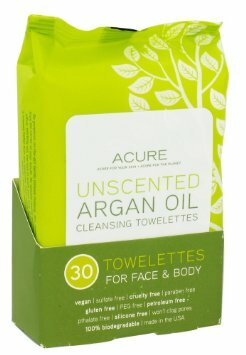 Pleased with the line, I had to try the Acure Unscented Cleansing Towelettes for face and body with Argan Oil. The handy little all-natural biodegradable towelettes are ideal for traveling. They’re easy to stash, effective and the perfect quick refresher (recycled airplane air wreaks havoc on the skin). The best to way to get the most bang for your buck is to get a free A Market Rewards Card because every dollar spent is equal to one point and every dollar spent on A-Market brand supplements is equal to two points. Members receive a $25 reward towards future purchases for every 500 points earned. THIS MARCH 20 IS A DOUBLE REWARDS DAY, so if you’re looking to try a new all natural line, here’s your best chance.